Parnell was a fast and elusive Outside Right, who occasionally played at Inside Right. He was easily recognisable by his distinctive large dapper moustache. He started with Skegby and then Pinxton in Midland Leagues football. He joined First Division Derby County in 1903 and played nine times before leaving to join Second Division Leeds City in August 1905. City had just been elected to the Football League and Parnell played at Outside Right in their first-ever Football League fixture at Valley Parade. He quickly became a regular and one of City’s most outstanding players. 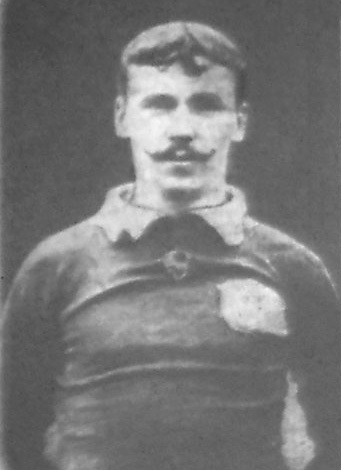 He stayed at Elland Road for three seasons, making over one hundred appearances, before leaving to join Exeter City in 1908. He was an instant hit with Exeter as he scored twice on his Southern League debut for them in a 3-3 draw with Bristol Rovers. He joined First Division Preston North End in May 1909, scoring once in fifteen appearances before returning to Exeter City in May 1910. He finished his career in Non-League football with first Sutton Junction in 1912 and then Mansfield Town in November 1913.